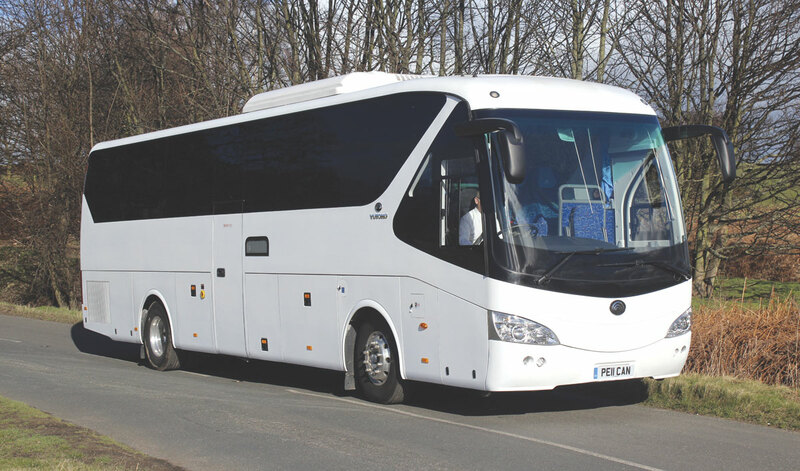 A completely new coach has been launched in the UK by a manufacturer new to the UK and a dealership that has not previously offered full sized coaches in this market. This is not to say that either does not have a proven track record. Pelican Engineering, based in Castleford, West Yorkshire, is a company that has been in business for 95 years and has been making a profit for 95 years. It still has the same title and is still run by the same family. 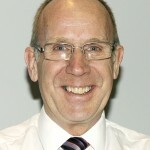 As Sales Director, Ken Grindrod points out, ‘Not many are in the same position and we’re very proud of it. When you get a company like Yutong checking, it is very satisfying that they have made the decision they have made. Before agreeing to our being their sole importer they employed a UK consultancy company to check us out. They are very thorough and stringent in their checking.’ To handle the Yutong brand, a new bus and coach division trading as Pelican Bus & Coach Sales has been established. Yutong specialises in bus and coach production, though it has other interests, and is a very serious world player. 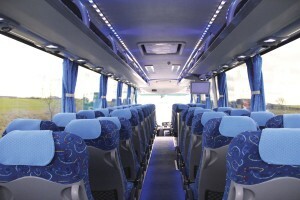 In terms of the number of units of all sizes built, Yutong is now the biggest bus and coach manufacturer in the world. In 2012 it produced 51,688 passenger carrying vehicles of which 46,633 were sold in China, leading it to claim a 26.7% share of that market. 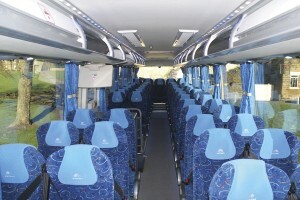 The 5,055 it sold outside China equated to 22.8% of Chinese bus exports. In 2013 the total figure was 56,068. It has a massive model range covering everything from five metres to 25m long, with artics, bi-artics, double deckers, tri-axles, sleeper coaches and school buses all part of the line up. A vast plant in Zhengzhou covers 1.12million square feet and is continually developed and expanded. 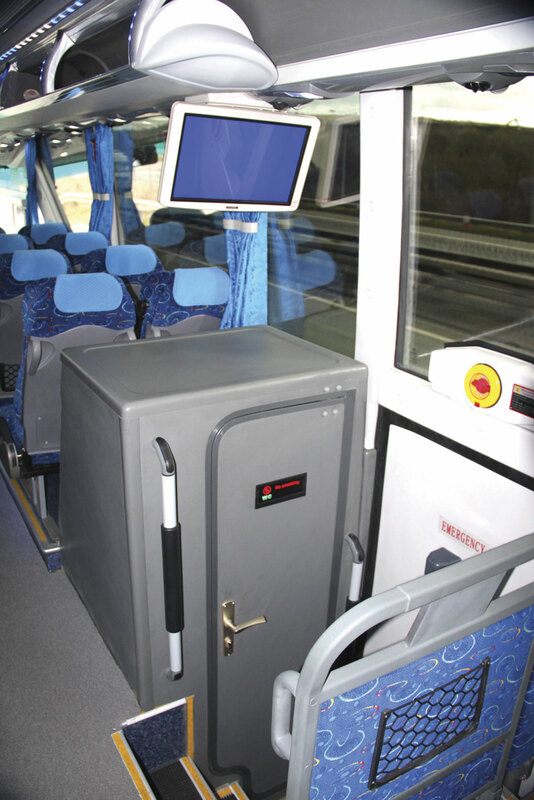 The 2013 corporate DVD talks of production of 285 buses a day, a figure that has since increased beyond the 300 mark. It takes quality seriously, not only in meeting the ISO TS16949 and ISO9001:2000 quality standards and having separate chassis and complete vehicle electrocoating plants to ensure long term anti-corrosion protection, but also in a highly equipped research and development centre that has facilities I have not seen bettered anywhere in the world. It spends 4% of annual turnover on research and development. Pelican’s agreement with Yutong is direct, not through a third party, and will be reviewed by Yutong after a period because they see the UK as an important market and want to ensure that their representation here is of a high standard. 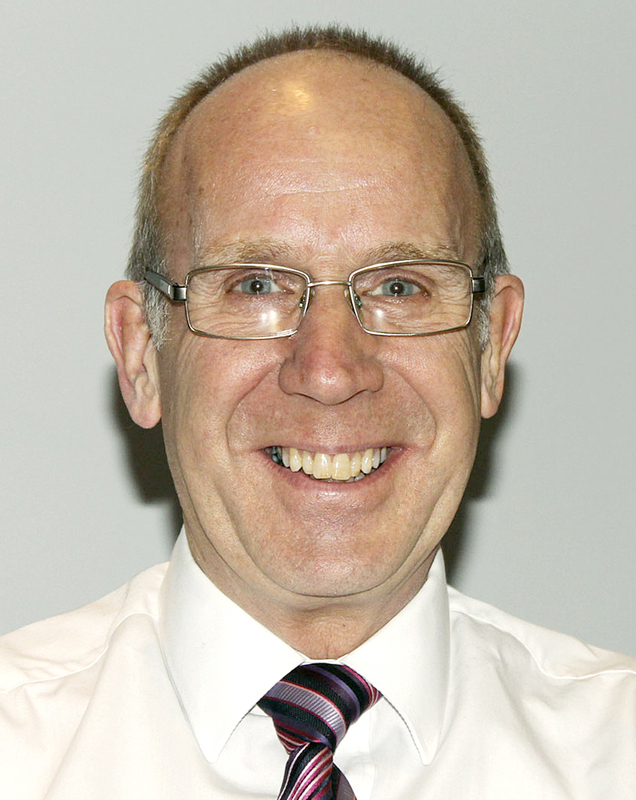 Ken has no fears about Pelican matching their aspirations, because good customer service is the foundation on which the family business has thrived for the past 95 years. Ken thinks the coach will appeal to smaller operators and notes that over 70% of those who have viewed it so far are fathers and sons or husbands and wives. ‘We are very comfortable with that. You are dealing with people,’ he said. 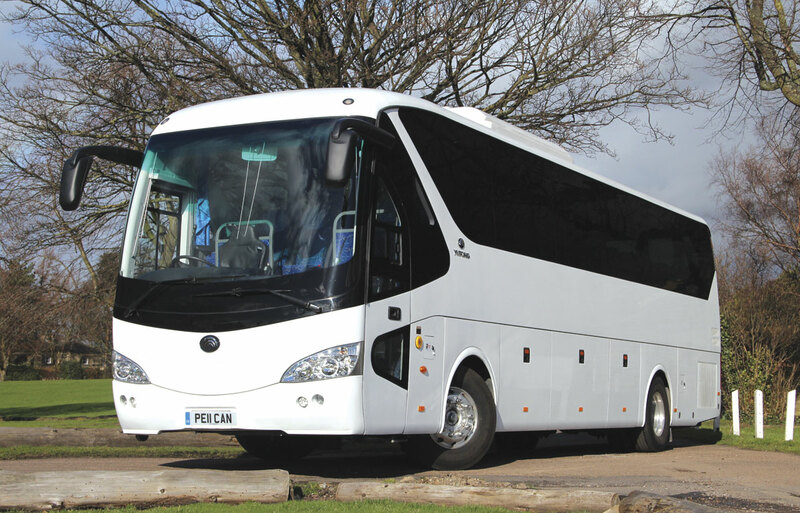 Chinese coaches generally carry convoluted code designations in their home market, indeed Pelican’s demonstration coach does, but the decision has been made not to market in this way and the coach will simply be known as the TC12, indicating that it is a 12m touring coach. It is an attractive, modern looking, 3.8m high coach with a broad angled feature pillar sweeping up from alongside the first row of passenger seats to the top of the coach front, while the lower edge of the driver’s side window dips to create a glazing area that sweeps around the front. A roof mounted air conditioning and climate control pod sits toward the front within the wheelbase and a Webasto pre-heater is also fitted. At the rear, a high mounted window curves up and into the roof line. The lines are smooth, the double glazed side windows are tinted and there is no extraneous brightwork, save for the alloy wheels and various Yutong badges. At both the front and the offside centre the plug doors are pneumatically powered. Luggage locker doors are cantilevered and provide easy access to a hold that I was told gave a capacity of six cubic metres, though it looks more. 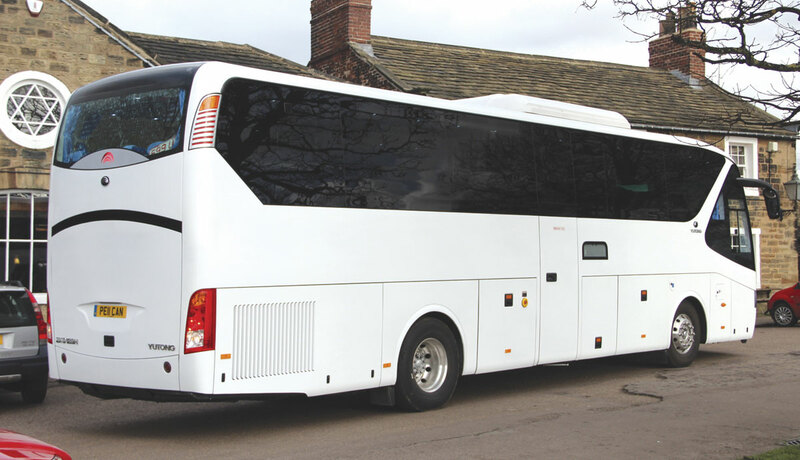 Offered as standard as a 51 seat tourer with centre continental entrance and sunken toilet, the TC12 can also be supplied without the toilet and 53 recliners. It can be supplied as a 49 seater if requested, but the current method of mounting sees the seats bolted to the floor on the aisle side (the window side is rail mounted), so this is not a straightforward job. Handrail provision is good at the entrance where four straight steps, edged in yellow, take you to the platform, with an additional step up to the sunken aisle which is flat to ahead of the final seat row where there is one step. The dash incorporates a 40-litre fridge unit but I was disappointed in the quality of the plastic used on the lid of this and a separate unit on the dash as they did not match the finish of the rest of the dash and looked cheap compared with the rest. Within the front dome there is a folding HSAF 19-inch monitor with a second fixed 19-inch unit over the centre toilet compartment. A digital clock with red display is provided at the front along with downlighters and a fixed rear view mirror. 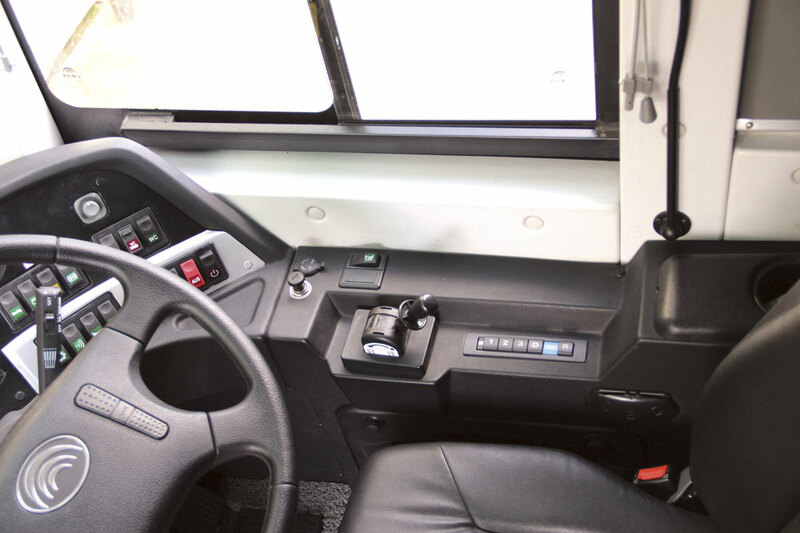 Equipment includes an Alpine multi-play DVD/CD/MP3 player, Radio RDS, a PA system with driver’s microphone and a video camera system with dash mounted colour monitor that includes a reversing view. 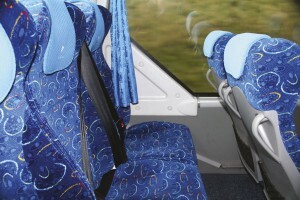 The feature sloping pillars in the first passenger bay and across the passenger door do create significant blind spots for the front seat passengers on both sides, especially those sat nearest the window, but at least in these seats the occupant has the option of looking out of the front screen. Otherwise, the view out is good. 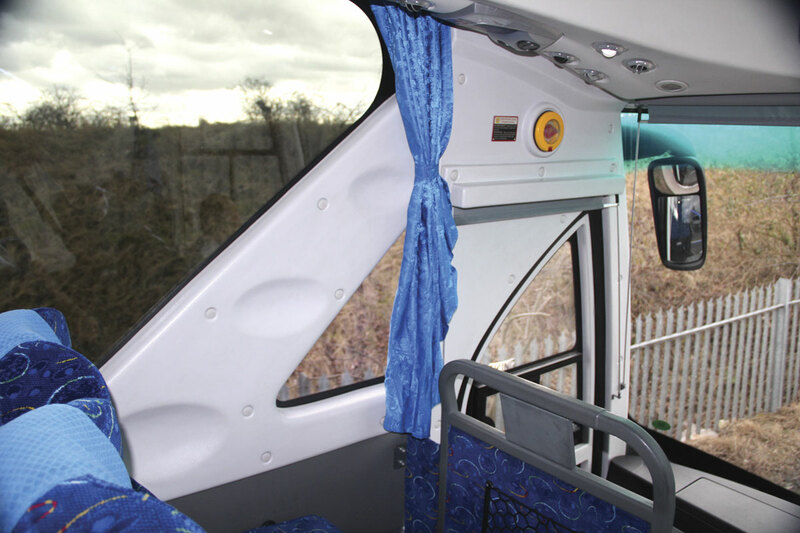 Passenger service units with the normal facilities are set in the underside of the racks, over the window seat passengers. The racks are neat units with blue LED lights set in the uprights. Above, running the full length of both sides of the ceiling are LEDs in alternating banks of six white and six blue. Full draw curtains are provided. The seats are substantial Chinese manufactured units trimmed in blue moquette with plastic moulded main rear sections incorporating magazine nets and two grab handles. They offer a considerable degree of recline and also have a side slide facility as well as adjustable footrests and aisle armrests. Three point seat belts are externally mounted. My only concern with the seats was the rear row where there was no recline facility and the seats were more upright and consequently less comfortable, with room in the corner seats impeded by triangular moulded panels at the window base. 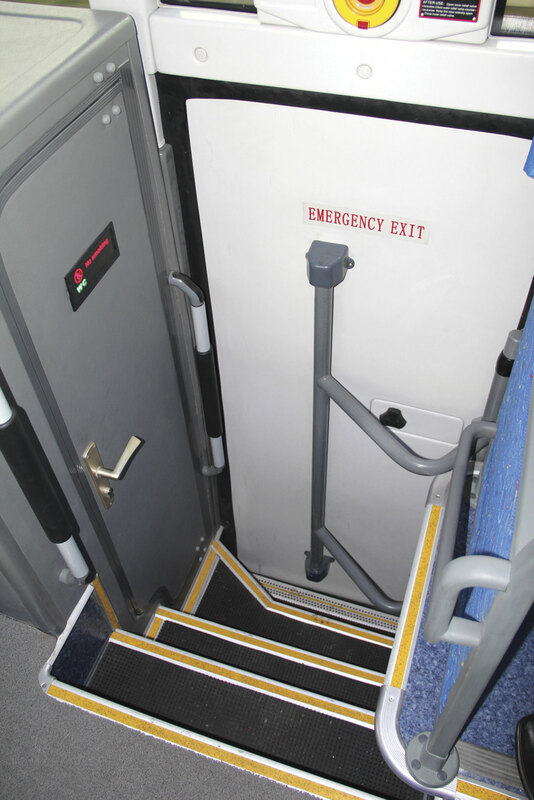 At the centre door there are five steps up from ground to aisle with the forward edge of the second step angled out to create more of a platform for entering the compartment. Hand rail provision is comprehensive and the toilet door is a proper lever handle which most people find easier to use than plastic twisting units. Like the edge of the seat podium risers, the forward edge of the floor section to the left incorporates attractive blue LED lights. The flat topped toilet compartment itself was relatively spacious and I had no difficulty getting in and out of it. Headroom was good though a bin on the floor reduced standing room. An unusual feature was an opaque window on the outer wall, though this does mean that the offside main body panel is not completely free for livery application. It isn’t something I would normally say about a coach but the TC12 does not have that strange plasticy smell that pervaded the interior of every coach at Busworld Asia when I first went there a decade ago. Noise levels were acceptable throughout. 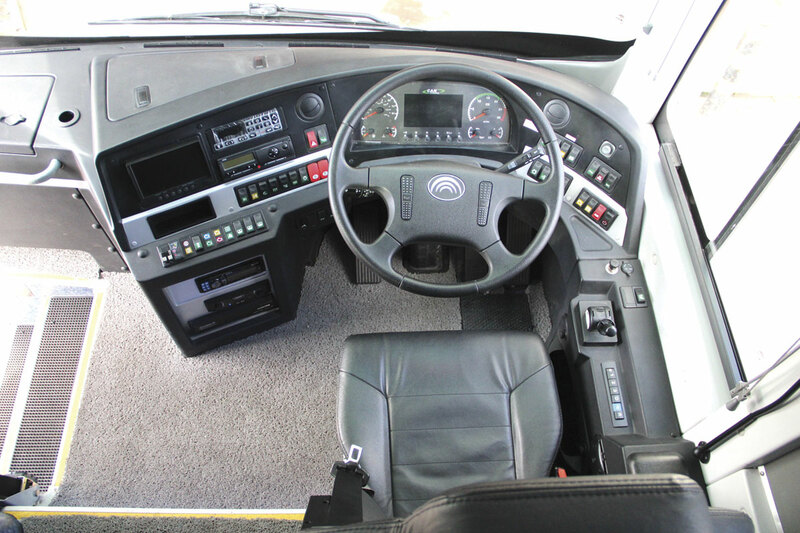 In the cab, the leather trimmed driver’s seat is an Isri unit and everything is quite well laid out, with a larger than normal steering wheel. The Mekra mirrors are steady and give a good view. 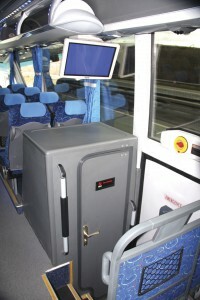 Above the driver’s head, there are lockers at the forward edge of the otherwise open racks. Electrically powered blinds descend from the top of the screen at the press of a button. Legroom for the courier seat is good. 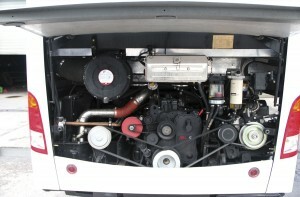 Mechanically, the Euro5 launch vehicles feature an 8.9-litre Cummins ISL engine generating peak power of 400hp (294kW) at 2,100rpm and 1,700Nm of torque at 1,300-1,400rpm. This is coupled to a ZF 6AP1700B AT six-speed fully automatic transmission with primary retarder. Pelican’s philosophy is that it will only import automatics; it will not be offering a manual alternative. The front and rear axles are both Meritor units, the braking system is by Wabco, who also supply the ABS and ESC electronic stability control. 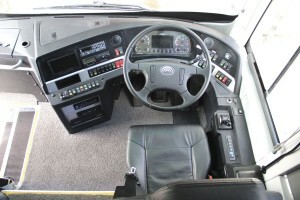 The retarder is a Telma Focal F2200 operable on a stick control and, at the wish of the driver, on the foot brake pedal. 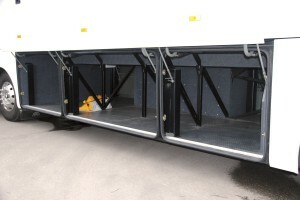 Air suspension is provided with four bags at the rear and two at the front. Alcoa polished aluminium rims are standard and these are shod with Michelin 295/80R22.5 tyres. In the relatively spacious engine bay, Ken pointed out a metal plate attached to the bodywork that provided full details of all the belts, fluids and other key components that a fitter might need to be aware of when in the workshop or attending to the coach at the side of the road. Further help came in the form of a black box that contained the on/off switches for the two spot lights that can illuminate the bay as well as a separate light on a wander lead. 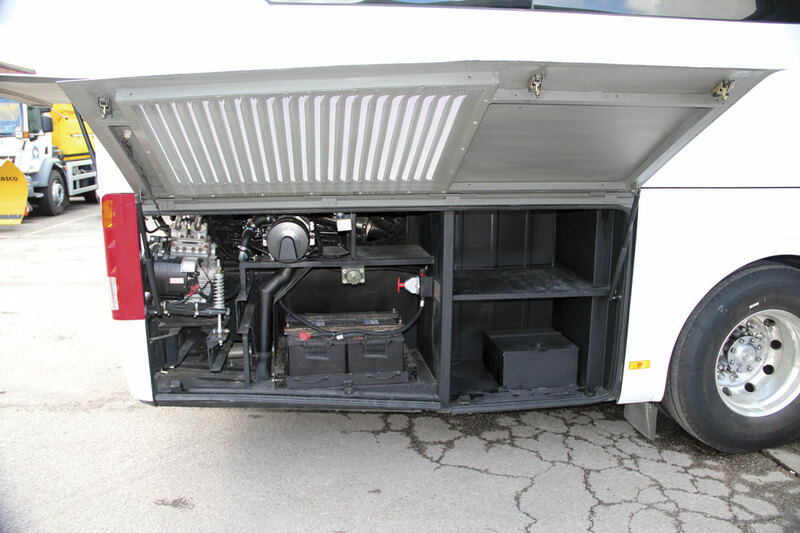 The AdBlue tank is mounted at the nearside rear while the diesel tanks are at the front, fillable from both sides. 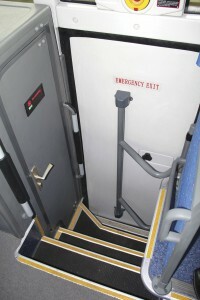 The main electrical panel is a drop down unit within the forward locker on the offside. Beneath the driver, in a locker, the clearly labelled air systems are grouped together. Out in the coach with Ken at the wheel, at 62mph/100kph the tachometer showed 1,300rpm in sixth (top) gear, well within the green band. At 50mph in fifth it showed 1,250rpm, changing into sixth at around 55/56mph. At 30mph in fourth it was showing 1,000rpm. The retarder, the first and second stages of which come in on the footbrake prior to the foundation brakes, proved very effective and Ken barely needed to use the main brakes. 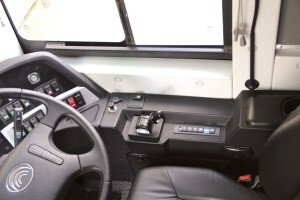 This facility can be switched off by the driver.